add make it a planned one and make your travel comfortable and worry free. Today I am sharing you some of the tips which will help your travel and packing easy and less worrying. 1. We have Facebook and Instagram on our fingers but the mobile or tablet you have should also be used for one very important thing. Have your scanned Passport, ID card and tickets with you. This provides an extra copy of each in the event of loss or theft. 2. For many of us during travel the bag weight becomes little pain. My suggestion is to always wear the heaviest Shoes/Boots & Jacket/Coat on the plane. This will save lot of space and weight in your bag. 3. Carry big scarves with you in plane. They not even add style in your attire but also you can use it as a blanket when you're feeling cold. 4. 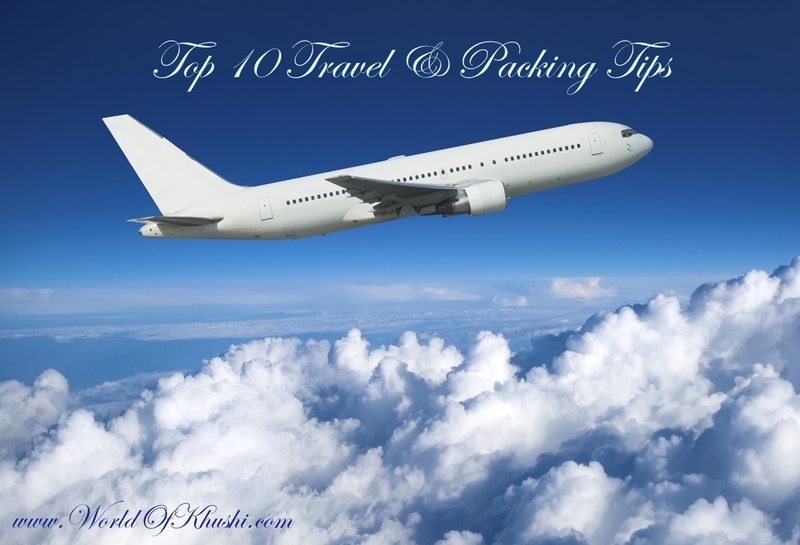 Wear a thick moisturizer or your favorite night cream in the long flights. It gives you extra hydration plus your skin looks fresh for the next destination. 5. This is my favorite for saving space. If your vacation is more than 3-4 days instead of taking full bottle of foundation with you, you can use contact lens cases to bring in small quantities. It is more easy to carry and saves space. 6. Want to carry bobby pins. Have you ever ate Tic Tac. You can use the same container to carry your bobby pins. It takes less space & easy way to not losing them. 7. Girls like Blush and Lipstick to carry with them on the travel too. However instead of taking two you can try Lip-Cheek Stain. It will serve the purpose of both effectively and save the your travel space. 8. For small jewelry use pill container. 9. Place a Cotton Pad in your Eye-shadow or Compact Powder to ensure that it won’t break while you’re in transit. 10. It is always preferable to pack all your stuff a day or two before your date. This way you can make sure and check all your important items again like Passport, House Keys, Ticket & so on. Enjoy your trip !! I hope you found that tips useful. Do share your tips with me if you have any. Take care of yourself till the next time.